GONE TO VENUS, by Gone West. 3 wins in 6 starts at 3 and 4, $65,591. Dam of 11 foals, 8 to race, 7 winners-- SAUDI POETRY (f. by Storm Cat). 5 wins at 3 and 4, $596,972, Louisville Breeders' Cup H. [G2], Fleur de Lis H.
[G3], Torrey Pines S. -R (DMR, $46,740), 2nd Princess S. [G2], Santa Lucia H. -R (SA, $16,080), 3rd Hollywood Oaks [G2]. Dam of 9 foals, 5 to race, 2 winners-- Saudi Prince (g. by Unbridled's Song). 3 wins at 4 and 5, 2012, $23,377. Quick Silver Song (f. by Unbridled's Song). Winner at 2, $17,971. Indy Verse (f. by A.P. Indy). Unraced. Dam of 2 foals, 1 to race, 1 winner-- =Buen Verso (ARG) (c. by Distorted Humor). 3 wins, 2 to 4, 2012 in ARG, $49,619 (USA), 3rd Montevideo [G1]. Aeneas (c. by Capote). Black type placed winner, (subject horse). Gone Awesome (g. by Awesome Again). 8 wins, 3 to 6, 2012, $103,060. Habayeb (c. by Storm Cat). 4 wins at 3 and 5 in NA , placed in 2 starts at 2 in ENG, $51,151 (USA). Sire. Birds On Venus (g. by First Samurai). Winner at 4, 2012, $21,065. De Milo (g. by Seattle Slew). Winner at 4, $10,160. Gone Easy (g. by Dixieland Band). 2 wins at 5, 2012, $8,208. McKenzie Pass (c. by Storm Cat). Placed at 2 and 3, $35,665. ROKEBY VENUS, by Quadrangle. 3 wins at 3, $27,720. Half-sister to ARTS AND LETTERS ($632,404, Horse of the year in U.S., Champion 3-year-old colt in U.S., Champion older horse in U.S., Belmont S., etc., sire). Dam of 13 foals, 10 to race, 8 winners-- ROKEBY ROSE (f. by Tom Rolfe). 7 wins at 3 and 4, $250,480, Flower Bowl H.-G2, Susan's Girl H., 2nd Sheepshead Bay H.-G2, Diana H.-G2, Athenia H.-G3, Shrewsbury H. Dam of 14 foals, 10 to race, 8 winners-- SILVERBULLETDAY (f. by Silver Deputy). 15 wins in 23 starts, 2 to 4, $3,093,207, Champion 2-year-old filly in U.S., Champion 3-year-old filly in U.S., Breeders' Cup Juvenile Fillies [G1], Kentucky Oaks [G1], Ashland S. [G1], Alabama S. [G1], Gazelle H. [G1], etc. Dam of 10 foals, 2 to race, 1 winner-- Tice (g. by A.P. Indy). 5 wins, 4 to 7, $177,405, 2nd Phil D. Shepherd S. (FPX, $11,700). Settre at Hollywood Park, 1 1/4 miles in 2:04.22. 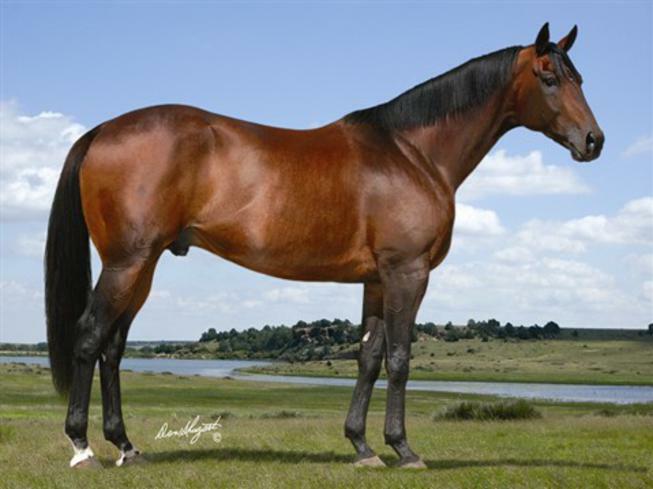 Silverbulletway (f. by Storm Cat). Unraced. Dam of 5 foals, 1 to race, 1 winner-- CRISIS OF SPIRIT (f. by Vindication). 2 wins at 2, $132,611, Anoakia S. (OSA, $37,065), 3rd Le Cle S. (HOL, $7,566). Silverbulletfolly (f. by Vindication). Unraced. Dam of 1 foal, 1 to race, 1 winner-- Mile High Magic (g. by Roman Ruler). 2 wins at 3, 2012, $105,730, 2nd Jim Kostoff S. (FPX, $10,000). Silver Bullet Moon (f. by Vindication). Unraced. Dam of 2 foals, 2 to race, all winners--Shakin It Up (c. by Midnight Lute). Winner at 2, 2012, $49,600, 3rd Hollywood Prevue S. [G3] (BHP, $12,000). Expedition S.-tre, 1 3/4 miles in 3:03.84 (AP, $31,500) etc. Impressive win at Churchill Downs. Race 6. Clark Handicap G2 Churchill Downs. Race 11. CAPOTE (1984). Champion 2-year-old colt in U.S., Stakes winner of $714,470, Breeders' Cup Juvenile S. [G1], etc. Among the leading sires in U.S., sire of 16 crops of racing age, 846 foals, 713 starters, 61 stakes winners, 2 champions, 512 winners of 1671 races and earning $50,603,389 USA, including Boston Harbor (Champion in U.S., $1,934,605, Breeders' Cup Juvenile [G1], etc. ), Surfing Home (Horse of the year in South Africa, IGN Gold Bowl H. [G1], etc. ), Basim (Hwt. in Ireland, $104,998 USA, E.B.F. Anglesey S. [G3], etc. ), Select Green ($1,744,674 USA, Tokyo Chunichi Sports Hai Negishi S., etc. ), T. H. Grace ($1,187,421 USA, Baden-Baden Cup, etc. ), Dantsu Dancer ($993,268 USA, Hakodate Sansai S.), Acceptable ($713,020, Kentucky Cup Classic Preview H. [G3], etc. ), Capote Belle ($603,315, Test S. [G1], etc.). *Multiple Graded SP Winner of $434,485 who was on the board in 21 of 23 career starts. *Posted Six Triple-Digit Beyers including a 108 in the G3 Phillip H. Iselin Breeders' Cup H and a 106 in the G2 Hawthorne Gold Cup H.
*Grandson of SEATTLE SLEW & GONE WEST from the family of ARTS AND LETTERS. *Half-brother to MGSW SAUDI POETRY ($596, 972). *Out of a Graded Stakes-Producing Half-Sister to the dam of Champion SILVERBULLETDAY ($3,093,207).